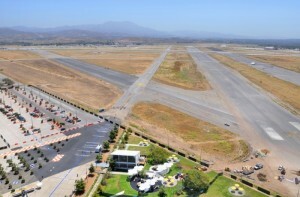 Monarch Air Group provides private air charter in Irvine, CA. Our clients benefit from top-notch service, unrelenting dedication to safety, wide selection of aircraft, and years of experience in chartering private jets. To obtain a free quote, please use our online quoting tool provided below, or call toll free 1-877-281-3051. Monarch Air Group provides private jet charter flights in and out of Irvine, California, USA. Irvine is a planned city in southwestern California. A population of the city is about 223,729 people. Businessweek ranked Irvine, in September 2011, as the 5th best city in the US. The city is home to Concordia University, the University of California, Irvine (UCI), Irvine Valley College, Brandman University, the Orange County Center of the University of Southern California (USC), and others. There are a few corporations, particularly in the semiconductor and technology sectors. The most notable points of interest include Irvine Spectrum Center, San Joaquin Wildlife Santuary, The Irvine Museum, Northwood Gratitude and Honor Memorial, Pretend City, Orange County Great Park, Verizon Wireless Amphitheater, and much more. The nearest airports are John Wayne Airport (SNA / KSNA), which is located 4 miles from the city, Long Beach Airport (LGB / KLGB), which is located 24 miles from Irvine, LA/Ontario International Airport (ONT / KONT), which is located 38 miles from Irvine, Los Angeles International Airport (LAX / KLAX), which is situated 43 miles from the city, McClellan-Palomar Airport (CLD / KCRQ), which is situated 55 miles from the city, and Bob Hope Airport (BUR / KBUR), which is situated 58 miles from Irvine. 1. Candlewood Suites Extended Stay Hotel Orange County/Irvine Spectrum, 16150 Sand Canyon Avenue, Irvine. 2. Doubletree by Hilton Irvine Spectrum, 90 Pacifica, Irvine. 3. Candlewood Suites Extended Stay Hotel Orange County/Irvine Spectrum, 16150 Sand Canyon Avenue, Irvine. 4. Courtyard Irvine John Wayne Airport Orange County, 2701 Main Street, Irvine. 5. Doubletree by Hilton Irvine Spectrum, 90 Pacifica, Irvine. 6. Candlewood Suites Extended Stay Hotel Orange County/Irvine Spectrum, 16150 Sand Canyon Avenue, Irvine. 7. Courtyard Irvine John Wayne Airport Orange County, 2701 Main Street, Irvine. 8. Doubletree by Hilton Irvine Spectrum, 90 Pacifica, Irvine. 9. Candlewood Suites Extended Stay Hotel Orange County/Irvine Spectrum, 16150 Sand Canyon Avenue, Irvine.